A Copper Pipe Is Welded Using Solder And A Propane Torch. Extreme Closeup. 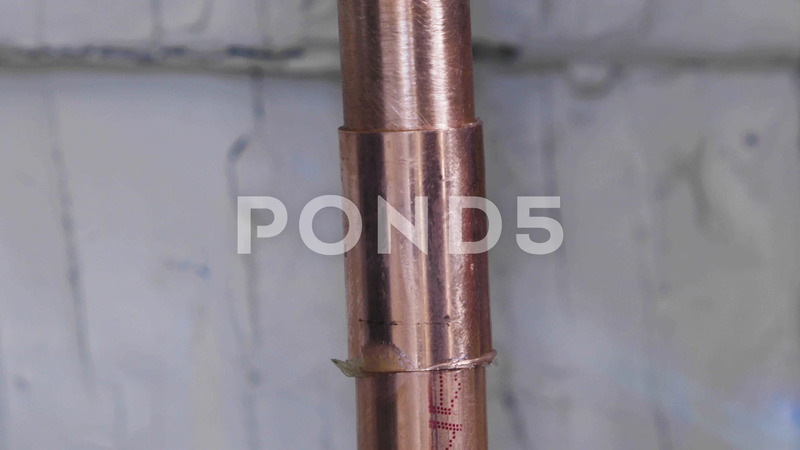 Description: A copper pipe is welded using solder and a propane torch. Extreme closeup.